Voters this fall won’t be in the voting booth quite as long as expected. A resolution proposed by Parish Government to order a special election to levy an ad valorem tax dedicated to road improvements failed due to three vacant council seats that created a lack of a quorum. Parish President Rick Nowlin called the special meeting Aug. 27 for council members to vote on the resolutions that would have divided the parish into four road districts. Voters would determine passage in each district. For those who passed the tax, the revenue gleaned from the tax would have remained in that district. The special meeting was called to actually vote on a corrected legal. The original legal notice printed in the Natchitoches Times as submitted. There was an issue with the legal notice verbiage from its source, the bonding attorney or Parish Government. Now the point is moot. The proposal cannot be brought up again for the November election because the deadline to publish notice has passed. It would be at least 2019 before the issue could be brought before the voters. 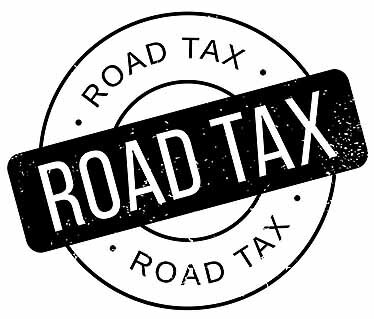 Also moot is creation of a sales tax dedicated to road improvements. Only two of the five council members attended the meeting, Doug de Graffenried and Rodney Bedgood, resulting in the proposal dying due to lack of a quorum. No vote was taken and the meeting was adjourned 10 minutes after it was called to order. Russell Rachal stated at the regular scheduled meeting he would be out of town Aug. 27. Patsy Ward-Hoover contacted the Times Tuesday, Aug. 28 and said she also mentioned at the regular meeting that she would be unable to attend. The final councilman, Chris Paige, was also absent. Also present at the meeting were Road Supervisor Earl Townsend, Parish attorney Shantel Wempren, Finance Director Debbie Miley, Council Clerk Sheryl Frederick and Nowlin.